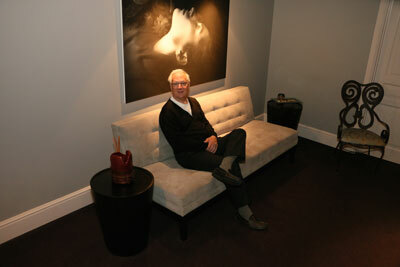 FACES Day Spa has been open for 14 years, with current owner Dan Nedved taking over the reins in 2003. Dan bought FACES because he believes in customer satisfaction and is results-driven. He says that’s the foundation of what the spa is about and it’s what the staff strives to do every day. “Because we push for giving clients the results they want, clients tend to come back again and again,” said Dan. To work at FACES, an individual must be professional, have a good attitude with clients and co-workers and believe in teamwork. For Dan, the importance of teamwork cannot be underestimated. Dan is quick to remind people FACES is a spa as opposed to a salon. FACES does not offer hair services which means you won’t hear blow-dryers while you’re trying to relax. FACES has a diverse group of estheticians that appeal to every age range, from teenagers to those with mature skin. “We have a client come in and we talk about what their concerned with, if they’re having problems with their skin at that moment and if there’s anything they want to work on in general. I give them some options of facials that I think would work best for their skin and I put the facial together,” explained esthetician Kathi Halsey. “Once you are in the spa, we are all about relaxation. We want you to leave your troubles at the door because that’s the best way we can help you look and feel better,” Dan said. After many years in Countryside Village, FACES Day Spa is moving to a new location, at the corner of 84th and Center Street. The move means FACES will be able to accommodate more clients due to an increase in the number of rooms. Currently, FACES Day Spa is 3,800 square feet, but the new building has 5,500 square feet. The new facility comprises two floors and is wheelchair accessible. But Dan said the two biggest advantages are the location’s visibility now that it’s a standalone building on the corner, and its accessibility, which is now much better from the interstate. The move is something he feels will enhance the staff’s business, especially on evenings and Sundays. “The facilities will allow us to accommodate our clients easier because of how the building is situated. I anticipate a seamless transition from our current location to the new one,” Dan said.